Operationalizing Peer Support is a breakthrough new training for supervisors who lead Certified Peer Counselors, Peer Bridgers, Peer Navigators and Recovery Coaches in the Behavioral Health Field in Washington, Oregon, Idaho and Alaska. 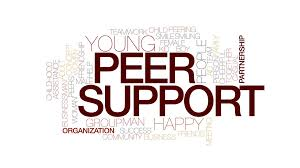 Operationalizing Peer Support incorporates many of the recovery oriented, promising practices and resources that have emerged during the last decade of Washington State's roll out of Peer Support in its many iterations. The tools we teach are geared toward assisting agencies to recruit, retain, and effectively integrate peers into clinical teams and into other critical roles. The resources and information provided is relevant for executive leadership, supervisors, human resources and anyone who wants to learn more about effective impactful peer support. We cover ADA accomodations, FMLA, supervision strategies and communication with an emphasis on motivational interviewing and critical conversations.